Vanguard, the mutual fund company, recently published a free retirement planning guide for folks like me who aren't interested in hiring a professional financial advisor. Vanguard's Roadmap to Financial Security is a 32-page document intended to provide DIY investors with a framework for decision-making in retirement. Retirement is complex. In the face of often competing goals and numerous risks, the choices can be overwhelming, leaving many retirees unsure of where to begin. To help balance the many decisions to be made, we have constructed a retirement planning framework that allows retirees to capture their unique priorities and use their financial resources in a way that best aligns with achieving their goals and mitigating their risks. Like me, Vanguard believes that retirement planning starts by setting goals. What do you want to get out of life? In the case of retirement, how much do you want to spend on basic living expenses? How much do you want to have set aside for “contingencies”? How much do you want to spend on fun? How much do you want to leave after you die? Market risk, the possibility of losing purchasing power due to movements in the financial markets. Health risk, a combination of your physical condition and your ability to pay for needed care. Longevity and mortality risk, which are two sides of the same coin: living longer than expected, or dying sooner than anticipated. Event risk, those unexpected occurrences that cost big bucks. Tax and policy risk, the odds that governmental and economic forces will have an impact on your retirement planning. The Vanguard retirement planning guide spends some time talking about home equity and how it relates to wealth. This is a fascinating subject, something GRS readers often discuss in the comments, and something that comes up all of the time at various early retirement events I attend. Most retirees hold a high percentage of their wealth in home equity. Should this value be considered when evaluating your net worth? When making plans for retirement spending? It's an interesting question that we'll have to explore further in the future. The final stop on Vanguard's retirement roadmap is developing a plan. After you've set goals, evaluated risks, and assessed your assets, it's time to pull all of this info together to create a financial strategy. The ultimate aim, says this retirement planning guide, is to obtain financial security, to know financial peace during your golden years. Vanguard's Roadmap to Financial Security isn't complex and it's not earth-shattering. It's a simple and useful framework for retirement planning. If, like me, you do most of your own financial planning, I suspect you'll find it thought-provoking. 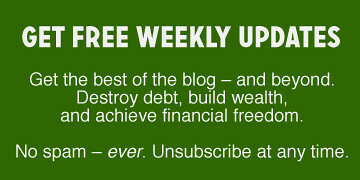 There are 3 reader responses to "Free retirement planning guide from Vanguard". As a Vanguard investor and fan of Jack Bogle, I thought I’d read all the informative documents/reports available online. Vanguard is a leader in customer education. So, I’m so glad you pointed this one out, J.D. I’m planning on retirement (whatever that is) in about 18 months, when I’ll leave behind my regular paycheck and we’ll start living entirely off our investments. Being a bit of an over-planner, I’ve run retirement calculators, and read lots of books to make sure I’m ready, but I had not run across this retirement planner before. Thanks for the tip! Do the diagnostic of where you are, figure out where you want to be and then develop the roadmap to your destination. That formula applies in so many cases. The hardest part of probably figuring out the destination or how much you need and/or want in retirement. Also what does that retirement look like and will you actually still be doing some work or not. The last bit changes quite a bit of things and it is good to set several destinations that are all a variation of a central one. And remember the destination will probably change the closer you get to it. JD, Great stuff. What do you think about semi retirement until you can fully retired? If you have multiple rental properties that cover your burn rate, you can possible go from semi retirement to full retirement. Personally not the way I would go about but it’s an option for people who want to retire early without touching their investment. I wrote a blog post about semi retirement plan with $100K. Check it out!